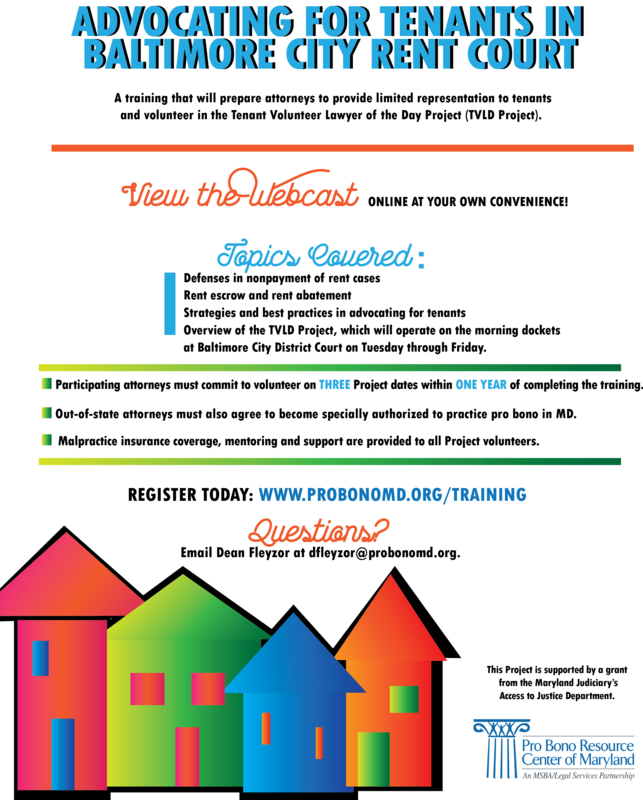 This on-demand webcast training covers defenses in nonpayment of rent cases, rent escrow and rent abatement, strategies and best practices in advocating for tenants, and an overview of the PBRC’s Tenant Volunteer Lawyer of the Day Project. 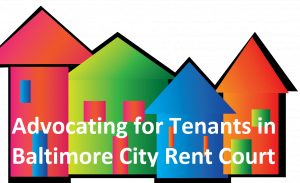 This training is offered as part of PBRC’s Tenant Volunteer Lawyer of the Day program. It is offered free to Maryland attorneys, in return for a pro bono commitment to fulfill three (3) units of volunteering within one year of registering. One “unit of volunteering” is EITHER participating at one (1) morning docket at Baltimore City District Court (available Tuesday through Friday each week) OR taking one (1) case placement from the Project. In order to view this training, you must be a member in good standing of the Maryland Bar or become specially authorized to practice pro bono in MD.